I know what you are all thinking. 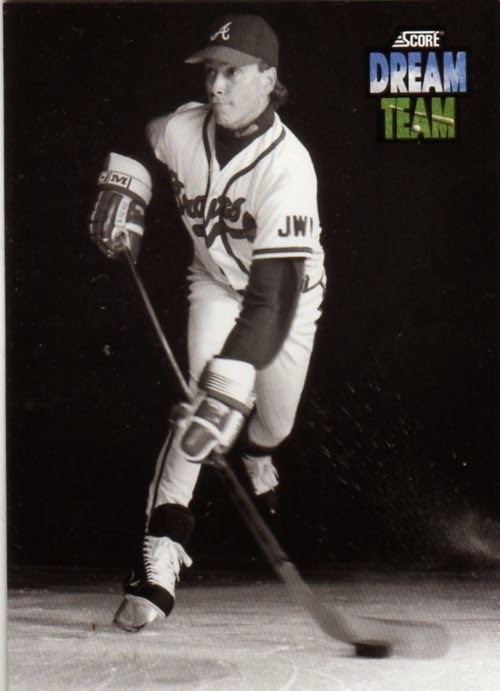 How can I be happy that Glavine is being inducted after all the crap I gave him on this blog. Easy. I'm a dirty hypocrite and since Liberty Media is slowly but surely turning the Braves into the Marlins North, I'll take what happiness I can get. 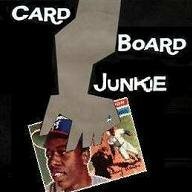 Tom Glavine.... PLAYING HOCKEY. Madness! Score knew how to make super-cool cards. I wish we had a Score today. 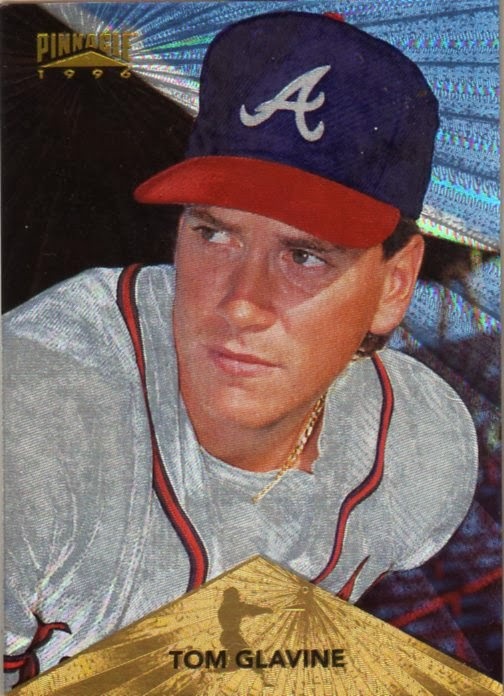 I have a lot of crazy looking '90s inserts of Tommy Glavine, but the Dufex Stare is just too cool. Yes, yes, yes. This is technically a Mets card. It's also numbered 5/10 and has two of the more interesting patches in my collection. I'm pretty sure the Braves patch is from a throwback uniform they wore, but I'm clueless on the Mets patch. Pretty danged interesting at any rate. 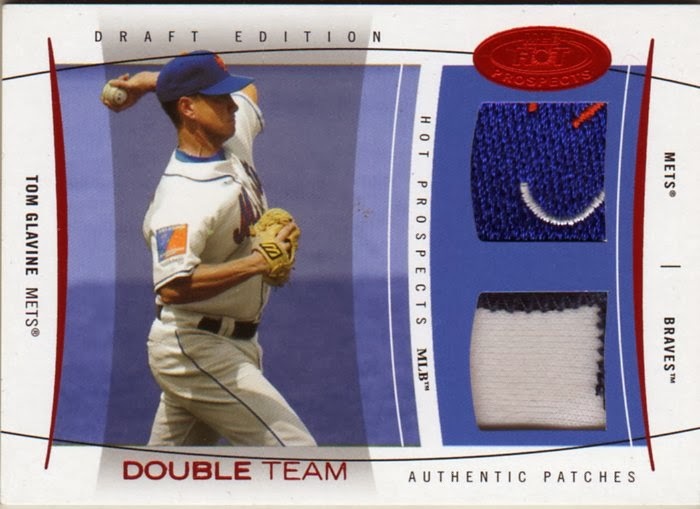 The Mets swatch on dual relic card is a piece from the Shea Stadium commemorative patch that the team wore on their sleeves during the 2004 season. Just in case anybody really cares! Great cards! Love the Dream Team card and the patch card!